Happy Christmas everyone - we really appreciate your support and the business we've done together in 2011. We've got an exciting 2012 planned with lots of new software developments and major upgrades to all of our existing product range. We're open throughout the festive period (apart from the bank holidays) so that we can support our customers, so do ring the normal support number 0845 612 2402 if you need help. Thanks again and hope you have a great break. Mobile Data Studio - the software development environment we use for Tracker Mobile and our other onsite data collection products - is now available. We are completing our own testing and so don't suggest you upgrade immediately but initial tests are all good and the improvements across all three handheld environments - Android, iPhone/iPad and Windows 6.x - are really welcome. 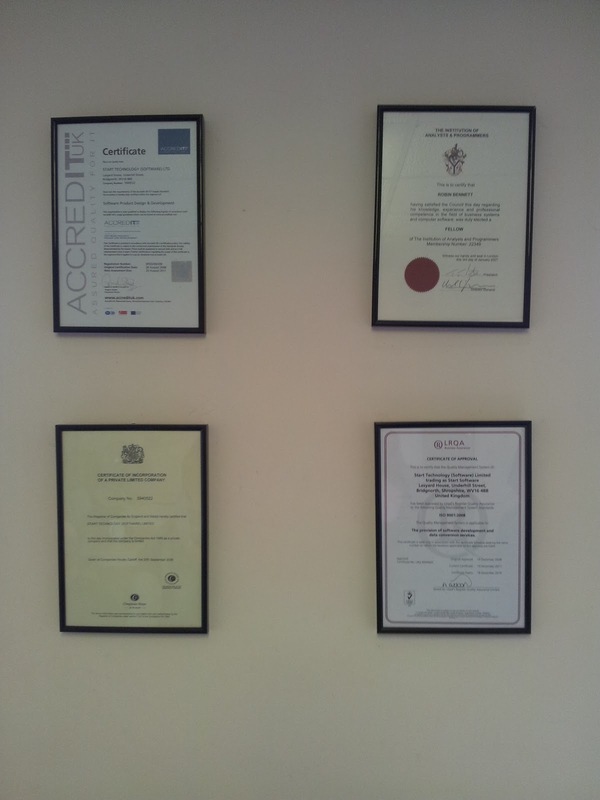 We've had our ISO9001:2008 certificate through at last... another quality accreditation for Start Software to add to the set on the wall! If you're a Mobile Data Studio user (for Tracker Mobile) on iPhone, iPad or iPod, there is a free update available to you via the Apple App Store. v7.0.2 improves the camera/photo point functionality and gives the option of 256-bit AES Encryption when transmitting data (useful if you are send extremely confidential/sensitive info and want to be sure that a hacker could not intercept it). We're really pleased to be partners with CreativityCorp, the Australian software development company which creates Mobile Data Studio (MDS). MDS is the platform we use to build our mobile data capture solutions. We have a relationship with CreativityCorp which enables us to influence the development of the product as well as benefit commercially. CreativityCorp direct UK businesses to us when they need consultancy to get them up and running and a recent call introduced us to one of the World's leading technology and manufacturing businesses. Over the last few months we have provided consultancy and MDS licences to enable them to build mobile data systems for field engineers. If you need consultancy to get your own business off paper and onto Android, iPhone or Windows phones or tablets to collect and process data on site, get in touch! I introduced the new versions of Mobile Data Studio in a recent blog post: http://robinbennett.blogspot.com/2011/12/new-versions-of-mobile-data-studio.html. We've been testing the new Android version this week and we've been very impressed indeed - there is a better look to the product (especially welcome on phones/tablets with a "black" visual theme) and the new camera options to enable/disable flash from within the product will be really welcome to asbestos surveyors using Tracker Mobile and other staff taking photos in poor light situations. 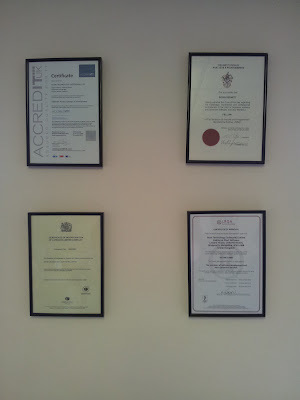 Developer Dan has impressed us with his ability to get software delivered quickly and accurately. We had no idea that his interest in speed and accuracy also applied to his driving, but we're thrilled that he has shown his class by coming first in the under 1400cc category of the Autosolo championship. Another dynamic asbestos surveying and removals business has joined Tracker family, enjoying electronic data capture on site and automated report production. 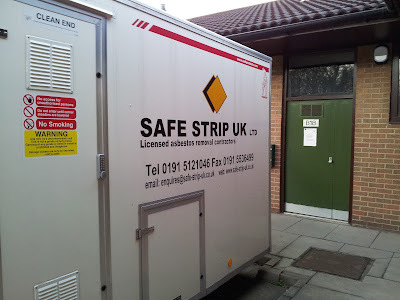 Now that the system is in place and staff are trained, we're looking forward to working with the team at Safe Strip UK over the next few weeks and months to ensure that they get the most from Tracker. Best year, best month, best day ever! We've just had our best financial year ever. In the current climate, that is pretty good going. We've just had our best financial month ever. Sales in October 2011 are the best we've ever had. And - to cap it all - our daily company stats from last week were the best we've ever had - best sales, no outstanding customer issues logged, best order book. We've got lots to do over the next few months to complete some of the big projects we've been working on over the last 12-18 months but we're starting from a very strong base. I mentioned Subversion in my blog about the most recent Microsoft Access User Group. 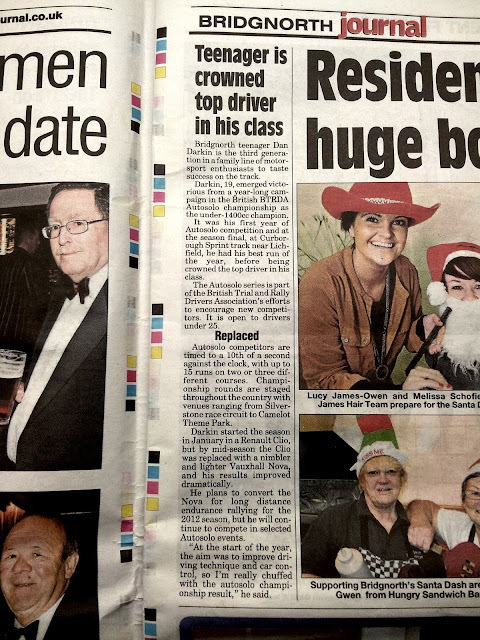 Our latest (and greatest, he says) developer Ricky introduced the idea of using Subversion to us and the presentation at the Access User Group convinced me that it was worth a try. What is Subversion? It is a version control and revision system - something which helps with the process of developing software by enabling unlimited versions to be stored and shared among developers. We have a semi-automatic process in place already (something that is regularly audited by the ISO9001 and AccredIT assessors) but there is no doubt that it is sometimes time-consuming and occasionally prone to human error. Subversion is a considerable step from our home-grown process and automates many of the complex arrangements that we were handling manually. We spend a great deal of time and care ensuring that we never "go backwards" with our software, overwriting changes previously deployed to sites. We also have to spend hours each month double-checking that all versions are correct and as per our control systems. Now that we have deployed Subversion, much of this manual activity will disappear, but - more importantly - it will mean that we will be to be much more flexible, even more responsive, and significantly more productive as a team. Mobile Data Studio (formally Pocket PC Creations) is a fundamental part of many of our software systems. Mobile Data Studio is an excellent product for developing data capture forms on Windows, Android and IOS (Apple/iPhone/iPad) devices. It is created and supported by our talented Australian software development partners, CreativityCorp, and we have a very close working arrangement with them. We've just had the latest beta copies through to test and there are many long-awaited changes and improvements delivered. This means that we will be able to deliver an even better experience with our Mobile Data Studio-based products such as Tracker Mobile for asbestos surveyors. Once we're happy with the released software we'll be in touch to explain how you can upgrade your Tracker Mobile and other systems.